The Maltby Precision Milled Golf Club Machine enables you to accurately measure numerous specifications of woods, irons, wedges and putters which are rarely accurately measured in bending machines. All bending machines are handicapped by having to use scoring lines as the only guide for aligning a golf club. Scoring lines are often not aligned to the actual lie angle of the golf club head and can measure as much as +/- 6 degrees different. Bending machine protractors will tell you how much the club has been bent but cannot be relied on for actual measurements. This heavy duty gauge is very is easy to use and features bold machine milled base lines and lie angle indicators. 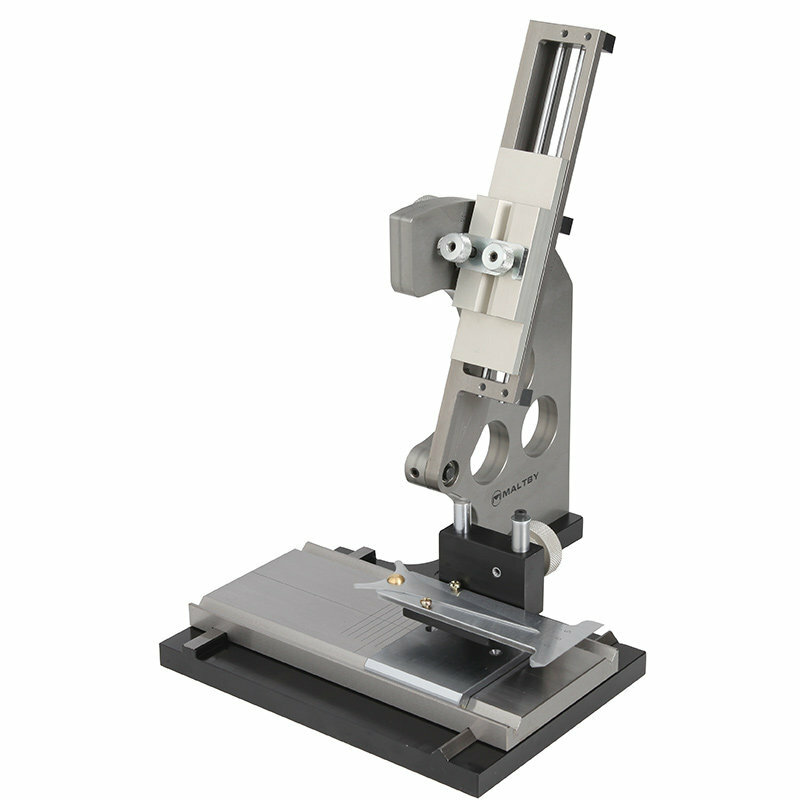 Add the optional swivel base for even more versatility and increased measuring speed.